IT APPEARS much of the angst and anger percolating through the farming sector over proposed changes to health and safety regulations may now have eased. The parliamentary transport and industrial relations select committee – charged with reviewing the Health and Safety Reform Bill – has recently reported back and proposed changes, many of which the farming sector has been calling for. As Fed Farmers health and safety spokesperson Katie Milne says, the changes to the bill go some way to recognising that farms are different from urban industrial workplaces. She applauds changes that mean farmers would not be held liable for the safety of people who – without the farmer’s knowledge — enter their properties and suffer an accident. 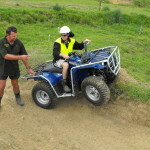 It is now made clear that recreational users coming onto farmland would be responsible for their own safety – duck shooters, hunters, mountain bikers, anglers and so on. It’s good that parliamentarians have listened to farmer concerns and put the responsibility back on recreational users where it always should have been. As Beef + Lamb NZ chairman James Parsons says, it is good to see the select committee process working and acknowledging farmer concerns. BLNZ say key changes to the Health and Safety Reform Bill go a long way to clarifying the responsibilities of farmers towards employees and visitors to their farms. Other changes recognise that a farm’s family home is excluded as part of the workplace. This acknowledges the unique features of farms as workplaces and homes for rural families and applies good common sense to the issue of improving safety onfarm. Fed Farmers and BLNZ concede there are still issues that need changing to improve onfarm safety, while taking into account the practicalities of modern farming. Both say they will keep working with the Government and officials to seek a practical outcome. This pragmatic attitude is far different from the reaction by unions and Opposition politicians who claim the changes ‘gut the bill’ and disregard workplace safety. That is rubbish! As WorkSafe NZ’s Al McCone says, “if a workplace has a culture of posting rules but ignoring them it will be held liable”. His encouraging advice to farmers is, “if you are doing things well under the current legislation, you will be doing things well under new legislation”. But McCone also warns that workers must take reasonable care to ensure their own safety. So if a farmer tells a worker to wear a helmet and he doesn’t, and gets killed or hurt, the farmer will not be held responsible. We hear the collective sigh of relief in the rural sector as common sense prevails. Trade deal on the way? IT IS understood that top officials from 12 Pacific nations negotiating the Trans-Pacific Partnership (TPP) free trade pact are planning to convene in Hawaii at the end of this month for a final push to get agreement – an indication that we may be nearing a deal. The US Congress last month expanded negotiating authority for President Barack Obama, setting up a potentially deal clinching meeting of trade officials. It’s estimated the TPP would add about 2% a year to the New Zealand economy. Services, tourism and IT would make up about 40% of this increase, agriculture 25%, the remainder coming from investment. The TPP region represents 792 million consumers and 40% of world trade. In 2012, trade among TPP partners was at least $2 trillion. According to a professor of international finance at Brandeis University, Peter Petri, recently in New Zealand, a successful TPP agreement appears more likely now the US has agreed to fast-track negotiations. For NZ, one of the biggest sticking points is access for its dairy products: the US, Canada and Japan have highly protected dairy industries. The US is believed to be pushing Japan to open its long-protected market for beef, pork, dairy and rice products. Japan, in turn, is seeking the end of US tariffs on cars and trucks. 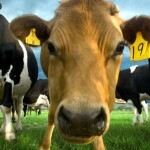 Petri claims the US is “for the most part” working with NZ on dairy issues. “The big problem now is Japan and Canada, and even in Canada you have a modern dairy industry which would sooner be rid of supply management,” Petri said. However, conspiracy claims – led by anti-TPP critics such as Jane Kelsey and politicians who know better – about the TPP being a ‘big business’ takeover of our national sovereignty, and other scare stories, are laughable. It is deplorable that the anti-TPP people like Kelsey et al get to make such uncontested claims and have unfettered media coverage. Yet the work and word of honest and dedicated people such as special agriculture trade envoy Mike Petersen and diplomatic, trade and government expert Stephen Jacobi, who believe the TPP will have huge benefits for NZ, are ignored. Petersen and Jacobi – or the NZ Government for that matter – are hardly going to sell our country or the agriculture sector down the river to benefit the Gnomes of Zurich or any other interest group. Meanwhile, Gary Hufbauer, a senior fellow at the Institute of International Economics, believes the planned high-level negotiating session suggests officials from most or all the countries believe an agreement is within reach now that Congress has approved the negotiating authority Obama sought. Let’s hope so. 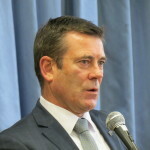 New Zealand – our agriculture sector especially – stand to benefit greatly. KISS — Keep it simple! THE NEWS that Fonterra is to hire international consulting firm McKinsey & Co to see what needs to be changed in the organisation is breathtaking. It seems a lot of people in the co-op are earning a million or more dollars a year, so what don’t such people know and why can’t they fix it themselves? Many were presumably responsible for the co-op’s present structure, so what’s wrong? McKinsey will for a small fee (yeah, right) propose some sort of change to the structure. 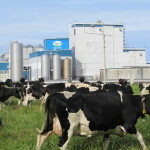 But we hope they look beyond structure and truly analyse the culture of Fonterra, which is the greatest source of complaints from many of the people who deal with the dairy giant. The word arrogance is frequently used to describe the way Fonterra behaves to external stakeholders and farmers. ‘Fortress Fonterra’ is another expression. The co-op’s communication style gets people’s backs up. They seem to assume a God-like position, which does not fit well with the salt-of-the-earth farmers they supposedly represent. 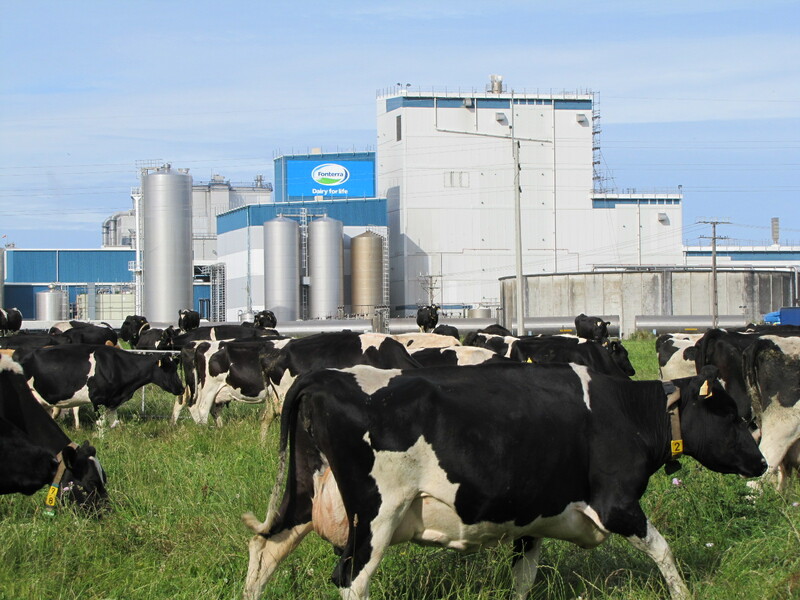 Understandably, some Fonterra suppliers are looking sideways towards other companies to which they could sell their milk. Fonterra’s hold on the milk supply is slipping as companies such as Miraka and others show what can be done. They also offer a closer relationship – a whanau approach – which is very appealing to many. In its latest Agribusiness Agenda, KPMG suggests that in 10 years Fonterra may control only 70% of the New Zealand milk supply – down from 85% today. This is not to say Fonterra is bad; in fact it is a great company and NZ Inc. needs a strong Fonterra. But it seems to many that the body corporate has become disconnected from its shareholders. 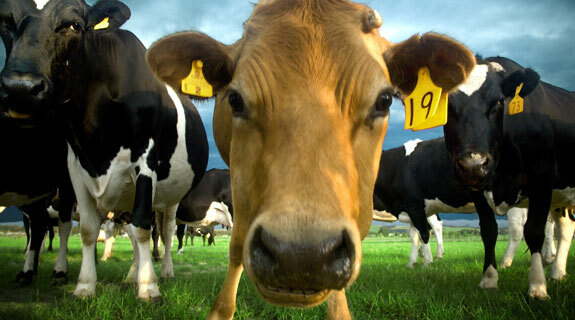 The great work of Fonterra is being undone by poor communications, which is an easy fix. PR spin and new buzzwords such as ‘velocity’ will change nothing and impress no one. The solution is frequent, timely, honest, simple, straight talk. Surely that’s not too much to ask. 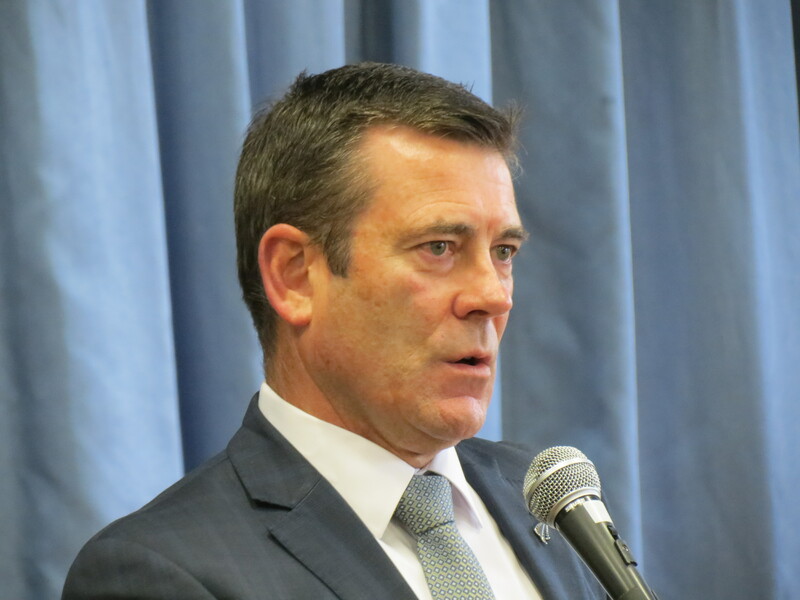 WORKPLACE RELATIONS Minister Michael Woodhouse recently described the existing workplace safety legislation a ‘bugger’s muddle’. It seems the proposed new legislation isn’t much better, given that it’s been sent back to the transport and industrial relations select committee for “further consideration” – code for “it’s still a bugger’s muddle”. 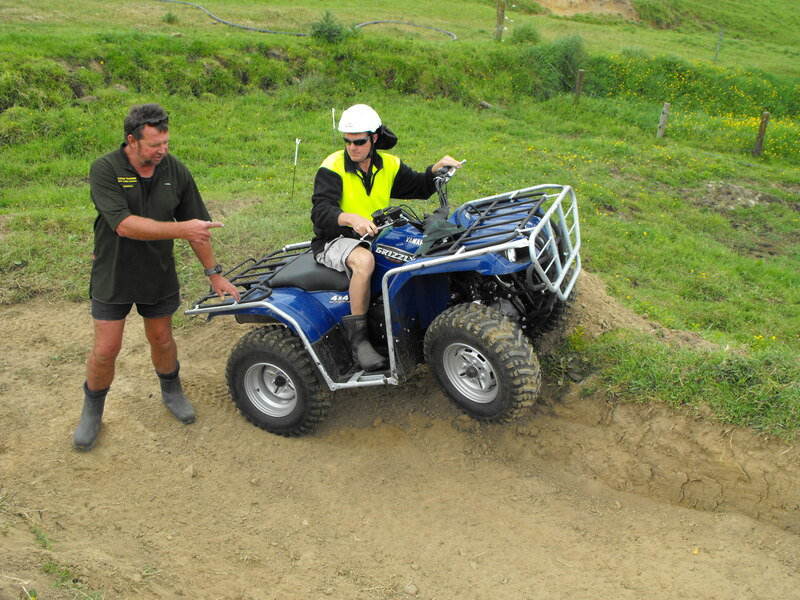 Everywhere farmers are revolting at the prospect of some of the items in the proposed legislation – especially the ‘threat’ to ban passengers from quads and the prospect of farmers being overwhelmed by paperwork in having to conform to so-called safety plans. At the best of times bureaucrats are tolerated but seldom loved by farmers or even politicians, who see them as a hindrance rather than a help. In this particular case, WorkSafe NZ has got itself off-side with many in the farming community – including some of its highly respected leaders. Even Woodhouse conceded to Rural News recently that WorkSafe has a “perception problem” with farmers. Farmers are not against the intent of the legislation and they want to reduce accidents on farms, but they feel that the bureaucrats are not listening to them but are instead proposing impractical solutions, and that are driven by ‘process’, rather than outcomes. Farmers also see WorkSafe as being out there to get them and prosecute them for what they (farmers) see as minor infringements. Farmers’ vocal opposition has not unnaturally been directed at local MP’s, mostly National Party ones, many of whom are themselves farmers, therefore openly sympathetic and very sensitive to the rural revolt. To support the new legislation, as it stands, would be ‘courageous’ on the politicians’ part but it’s well-known that ‘courageous decisions’ can be politically suicidal and career ending. (A bit like Andrew Little’s idea of means-testing workers over 65). So faced with a rural revolt the Government has sent the bill back to the same select committee that produced the outcome that is still deemed politically unacceptable. Will they do better this time as they mull over the legislation, fortified by a cup of tea – or something stronger? Will WorkSafe NZ back down and modify some of the more contentious proposals? Will the Prime Minister and the Cabinet get involved in some way to ensure the select committee comes up with a more politically acceptable piece of legislation? Or will some sort of deal be done by WorkSafe NZ and farmers to sort this out quietly behind closed doors and present a solution to the committee that lets the politicians off the hook? The rural jury is out.